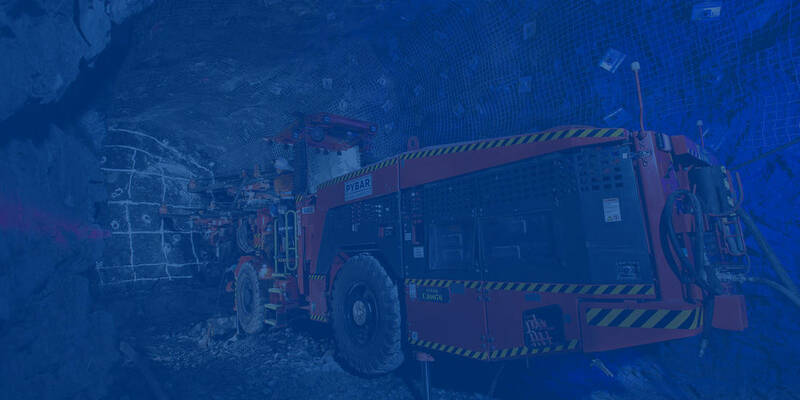 PYBAR Mining Services is the third largest underground mining contractor in Australia. New South Wales based, PYBAR had the majority of its business in the eastern states. With a strong reputation of delivering results, the company’s growth strategy targeted West Australia and internationally. Build a respected market position nationally and internationally and increase awareness to support business development and the recruitment and retention of valued employees. The objective was to re-position the company as a national company, particularly building awareness in Western Australia for strategic growth. Market research + engagement: Brand One undertook a strategic discovery process with the company’s board, senior management team, key divisional heads and site management. Management interviews, client and employee surveys, and an audit of all collateral including the website were undertaken. Formulating a collaborative marketing and communications strategy: A strategic workshop saw us working together with the board and senior managers to clarify the vision, mission and supporting company values to provide the direction and foundation for the business’s planned growth. A market position, value proposition and key messages to market were clearly identified and articulated to support the business development objective. Brand One then built a strategic marketing plan with clear budgets, responsibilities and calendars of activities. This was revisited annually as part of the business planning process. The cumulative benefits of an integrated plan and a clear communications objective: Brand One leveraged an optimised mix of mediums including internal communications, public relations including crisis management, advertising, media management including integrated digital strategies, creative design and brand identity, event management, sponsorships; and internal staff engagement strategies. Market research: Annual client surveys were conducted and benchmarked; supported by employee surveys. Public and media relations to establish a thought leadership market position. Planned content in editorials, blogs, social media, eNewsleters, etc were used to send key messages out to market. Crisis communication: Protecting reputation and the brand is key and for an underground mining contractor. Placed in typically dangerous environments, it’s firstly critical to prevent any error (which communications and engagement greatly assists) and then protect the brand, with respect families and loved ones as a priority, if any incident did occur. Crisis communications plans were put in place and kept updated. Internal and external campaigns: To support the targeted market positioning for the business, staged annual campaigns were deployed with targeted and relevant media. Internal campaigns and employee programs were also put in place to support the achievement of the external brand positioning. Externally, this included advertising, websites, digital and social media and marketing collateral. Internally, social media, promotional materials, high quality newsletters and a highly successful values-based employee program was launched. Employee engagement programs: Brand One successfully launched the CORE Awards nationally in early 2016 and it is still running successfully. Based on rewarding employees for positive values based behaviour, this program has not only been sustainable but has seen increased engagement internally with employees themselves recognising their peers at each project/site. Sponsorships, events, community programs and more: As part of the overall marketing and communications strategy, every event, sponsorship etc has a cumulative benefit to the company in its support of the overall positioning of the brand and company. The content marketing strategy was built around the targeted market position and key messages. Central to the digital platform was the website which pushed out through design and content the key messages. The website was built with SEO best practice including page titles, on-brand metatags, well written headers, site maps and most importantly, relevant and good content. All content was purpose written in accordance with SEO best practice and the over-arching company’s targeted market positioning. The company’s LinkedIn page is used to engage clients, press, media and general industry, whilst Facebook is used to engage employees, their families and prospective employees. Pre-approved posts are shared. Social media also plays an important role with search. On and off-line editorials and advertising, eNewletters, blogs and social are all used hand-in-hand to create and manage the PYBAR brand.